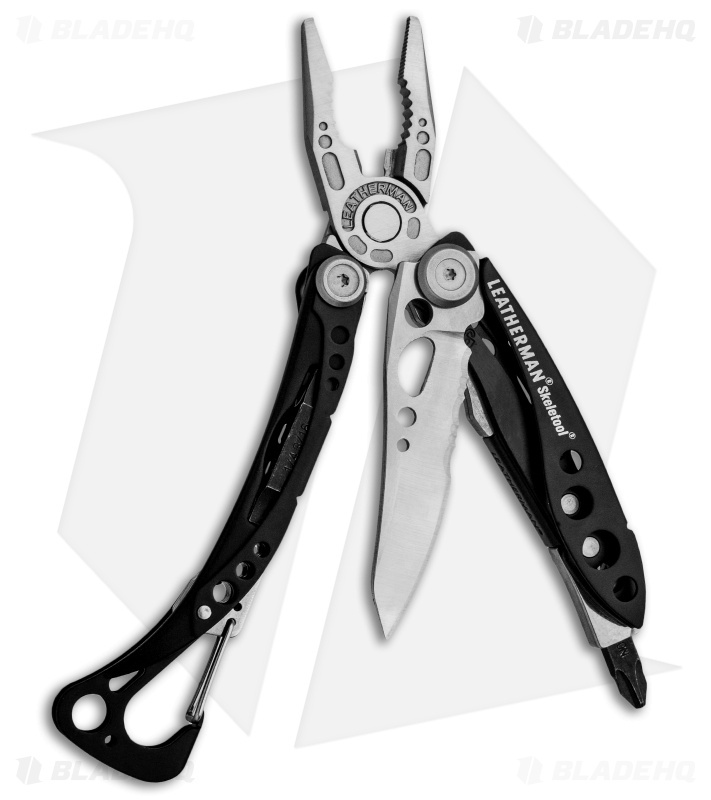 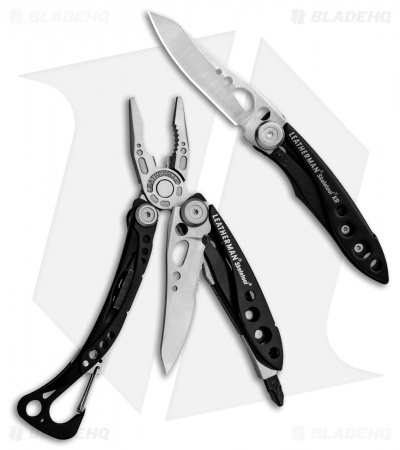 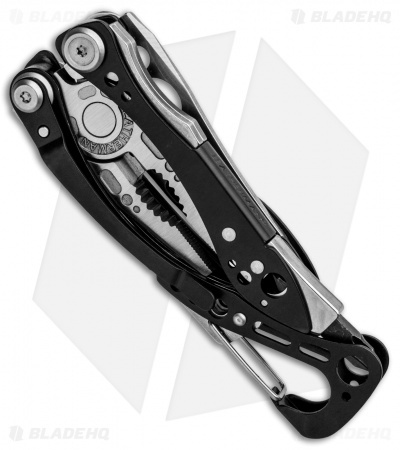 Get an EDC upgrade with this Leatherman Skeletool multi-tool + KB knife bundle at one low price! 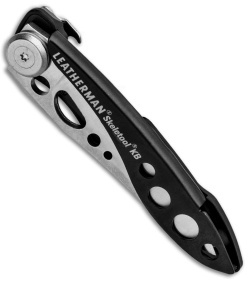 This is the perfect gift for that Leatherman loving knife nut in your life. 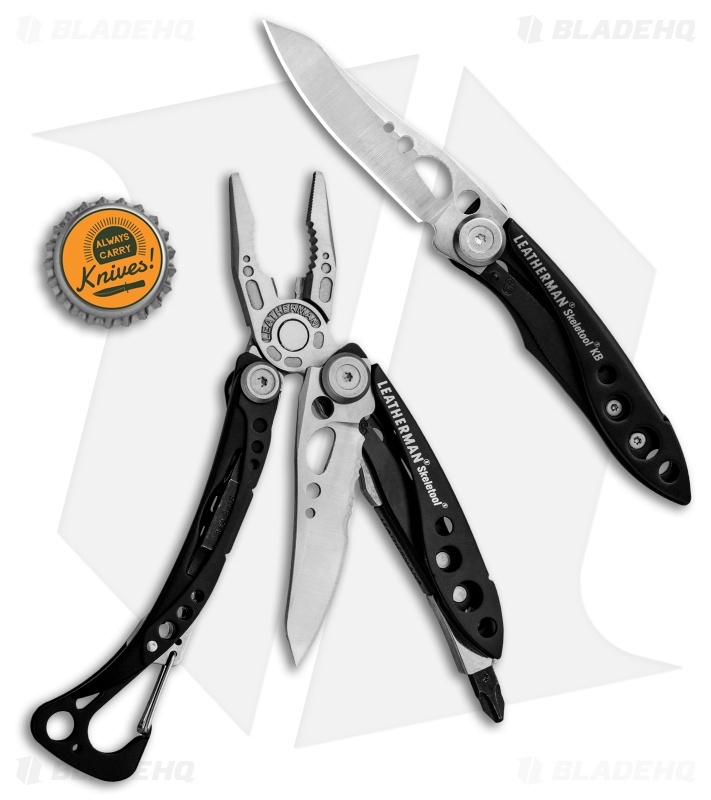 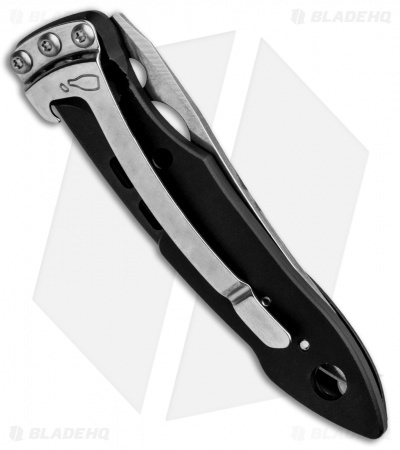 This Skeletool KB model is outfitted with a black finished stainless steel handle and a plain edge blade with a satin finish. 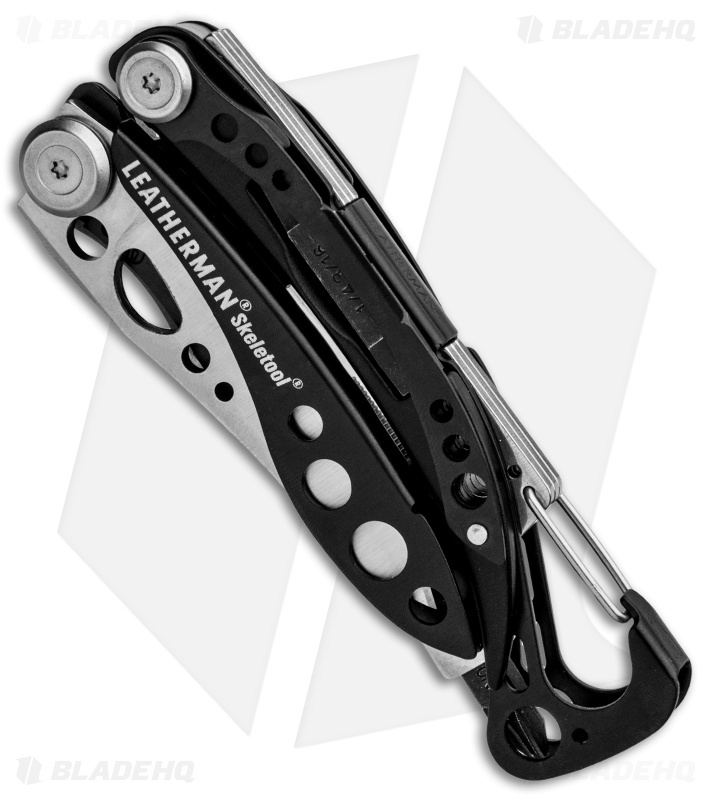 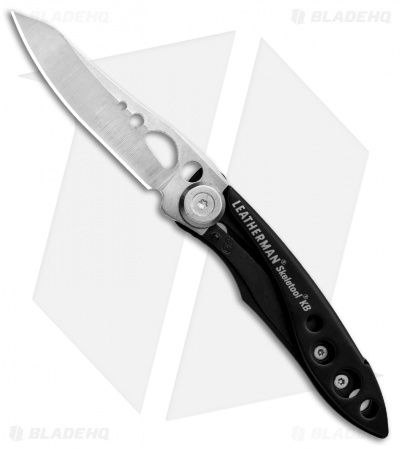 The Leatherman Skeletool KB applies the popular Skeletool frame to a quality EDC folding knife. It has a stainless steel handle and liner lock with a tough blade made from 420HC steel in a modified wharncliffe style. Item includes a stainless steel pocket clip with an integrated bottle opener. The Skeletool multi-tool features: DLC-coated stainless steel handles, stainless steel body, and an outside-accessible blade for one-handed opening. Bits: Phillips #1 , Screwdriver 3/16" & 1/4"